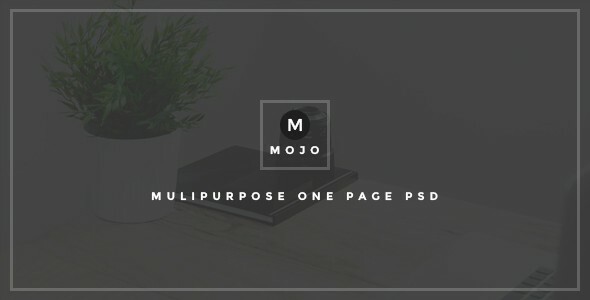 MOJO is One Page Minimal Multipurpose PSD Template, It is a clean and unique one page PSD Template designed based on most popular fram work Bootstrap 1170px Grid. It Can be used for modern corporate Website, Agencies, Studio, Business, Freelancer, Portfolio etc. Any elements ( outside assets, fonts, Photos or resources) are only peview purpose only, are NOT included in the final purchase.